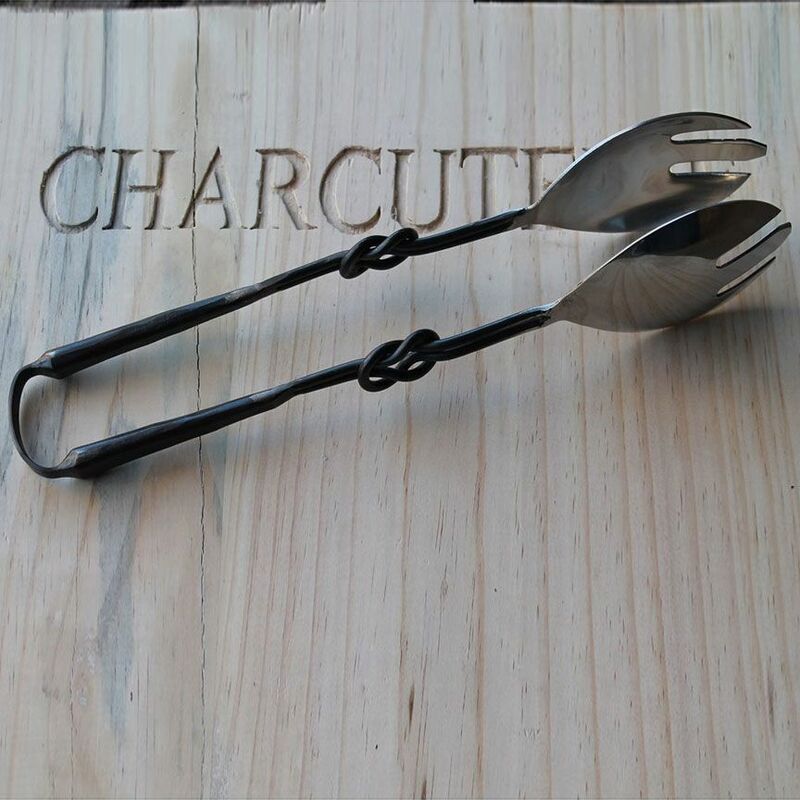 The forged handles feature an infinity double knot while the serving fork heads are a crisp stainless steel. 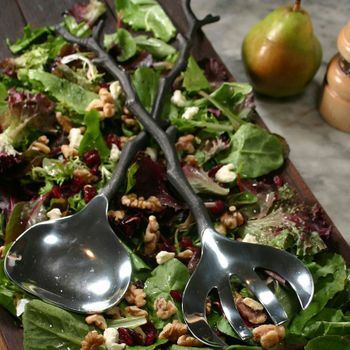 Impress the table with a functional piece that masquerades as artwork! 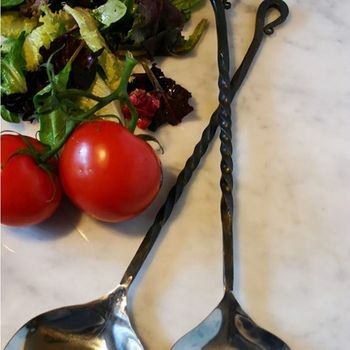 Available in a rustic or polished finish; thirteen inches long.